Give your command in a firm but pleasant voice. Make it simple, make sure your child hears and understands your command. Make direct eye contact, raise your voice, adopt a firm posture and say “If you do not do what I asked (or stop misbehaving) then you will sit in that chair” (pointing to the chair in the corner placed far enough away from the wall so that your child cannot kick the wall and in a quiet boring spot). There should be no play objects or TV/Games close by your time out chair. Take your child firmly to the time out chair. Do NOT allow bathroom stops, drink stops, or argument from your child. Place the child in the chair and say sternly “You need to sit in this chair until I tell you to get up.” You may also tell your child that you will not be back unless he or she has become quiet. Do NOT talk to your child while he/she is in time out. Remember this time out needs to feel like “jail time” for misbehavior or not complying with your request. Minimum sentence. 1-2 minutes for each year of age. 1 minute for mild misbehavior and 2 minutes for more serious misbehavior. Do not return to your child until he or she is quiet after the minimum sentence. This may require 1-2 hours of sitting in the chair the first few times. Child must agree to comply with command and/or promise not to repeat the misbehavior. Do not allow your child to leave the chair until he or she has agreed to this condition. If your child leaves the chair a second time without permission. Take your child to his or her room and have them sit on the bed using the same rules of minimum sentence and being quiet. Be sure all major play items are removed from the bedroom before using this suggestion. Remember this time out needs to feel like punishment. What makes time out effective is what your child misses while in the chair or the bedroom, so do NOT make up for anything missed while in time out. From Defiant Children: A Clinician’s Manual for Assessment and Parent Training, Third Edition. Copyright 2013 by The Guilford Press. Permission granted for personal use. Good restful sleep is essential to help improve attention and focus in children! Go to bed at the same time, even on weekends. Usually children under 12 need around 10 hours of sleep and teenagers need at least 9 hours. Follow the same routine every night. Have enough time so lights can go out on time. An example of a routine would be take a warm bath, brush teeth, then read for 15 minutes. End the evening quietly without rough-and-tumble play. Plan ahead! Finish work at least an hour before bedtime. Finish homework, turn off TV, phone, video games or computers 2 hours before bedtime if possible and no later than 1 hour before bedtime. Teach your child how to calm down and fall asleep without you. For example, use a special blanket, stuffed animal, picture of parent, or gentle music/sound machine that can turn itself off. An older child may try deep breathing or picturing a pleasant and relaxing time, like a day at the beach. Be quick, quiet and boring if you have to check on your child at night; set limits to your child’s attention seeking behavior. For example, do not continue to provide “one more drink”. Quiet, Comfortable Sleep-Only Zone – Bedrooms are for sleeping! Wear comfortable pajamas. Make sure your child makes a ‘last trip’ to the bathroom. Pay attention to noises around your child’s bed that make it hard to sleep. For example, pets who come and go and noise from others sharing your child’s room can interfere with quality sleep. Keep a cool, dark room, and if needed, a night-light. Take distractions out of the room. No TV, computer, phone, video games and fewer toys in bed. Get up at the same time every day, even on weekends. No naps during the day if naps interfere with sleeping at night. Choose healthy foods and eat meals about the same time every day. No caffeine (Ex. tea, soda, energy drinks, chocolate), especially after 5 pm. Don’t eat heavy meals close to bedtime; but a light snack is ok when hungry. Plan exercise and/or playtime every day so your child can go to bed with his/her energy spent. If your child is a worrier, plan a time earlier in the day to talk about worries and concerns. What are the Differences between QbTest and Quotient test? You may have noticed clinics advertising Quotient testing for ADHD at low prices. 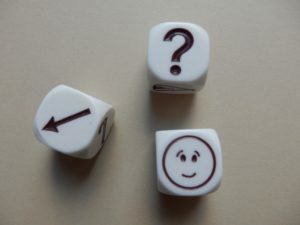 You may be asking yourself what is the difference between Quotient and QbTest. QbTest and Quotient are two similar tests, designed to work in the clinical setting. They are both designed to measure the ability to regulate motor activity while seated and performing a Continuous Performance Test. There are two versions of QbTest, one is for children 6-12 and one for adolescents and adults 12-60. The first difference is the age group classifications. QbTest is FDA cleared up to the age of 60. Quotient tests patients up to age 55. QbTest has been cleared not only for the use in assessment and diagnosis of ADHD, but as of April, 2014 – QbTest is the first device ever in the US to be cleared to monitor treatment follow up and help clinicians assess appropriate treatment options and effects of treatment options both in the medical and therapeutic form. In QbTest, the patient’s actual performance, i.e. every single click and every millimeter of head movement are recorded over the testing period and is included in the report comparing the patient with his/her same age and gender control group. QbTest differentiates between under 12 years old and 12-60 years old by using the identical pair’s principal (meaning the patient must tap the responder button if the stimuli that appears matches in both shape and color the one that came immediately before it.) This requires the test taker to keep a small amount of stimuli information in the working memory and match that information with the next stimuli. Any distractions such as irrelevant thoughts or inconsistent focus often cause the test-subject to omit the targets or perform at a very slow reaction time. The duration of QbTest 12-60 is a duration of 20 minutes. This paradigm has a more clear connection between attention and working memory. It is known that attention and working memory are closely connected and working memory capacity correlates with the capacity to control attention. Quotient focuses on the test subject’s ability to regulate inhibition, and therefore is more a measure of impulsivity rather than attention and may be considered less valuable in the clinical context because impulsivity is unspecific in the clinical population. QbTest does not generalize the patients performance by categorizing 30 second increments into color blocks because stronger interpretation by the clinician comes from the ability to look at the raw data of the performance. Quotient does NOT show the actual patient’s performance-it shows what Quotient determines is either impulsivity or inattention in 30 second intervals. QbTest measures micro-motion, attention, and impulsivity; the core symptoms of ADHD. QbTest was developed in Sweden and has many excellent research projects and articles supporting the accuracy, validity and test-retest reliability for ages 6 to 60. QbTest has a robust scientific support team always available to answer questions and discuss test results. Quotient has made price cuts to the cost of testing and this is likely the reason you are seeing clinics “popping up” in our area offering Quotient tests at reduced prices. Is Fish Oil Helpful in Kids with ADHD? The simple answer is Yes, most likely. Please read details below. First, a brief explanation about fish oil. 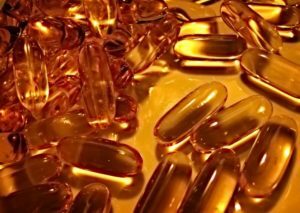 Fish oil has been studied to determine benefits in cardiovascular disease and hyperlipidemia and many other medical conditions. Fish oil is found in fatty fish such as mackerel, tuna, salmon, sturgeon, mullet, bluefish, anchovy, sardines, herring, trout and menhaden. 5 ounces of any of these fish provides about 1 gram of omega-3 fatty acids. Krill Oil is also a source of omega- 3 fatty acids. Omega-3 fatty acids are essential in our bodies for many different things including anti-inflammatory effects as well as boosting brain and heart health. Two of the most commonly studied and most helpful omega-3 fatty acids are EPA and DHA. Research is still ongoing and several studies have shortcomings and inconsistencies in research trials to date making it hard to make evidence based recommendations. Omega-3s found in fish oil that can be helpful are EPA (eicosapentaenoic acid) and DHA (docosahexaenoic acid). These are highly unsaturated fatty acids (HUFA). 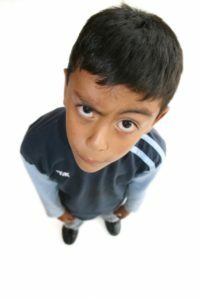 Omega-3 HUFA levels appear to be lower in individuals with ADHD compared with unaffected individuals. The reasons for this are unclear. It is well established that omega-3 HUFAs DHA and EPA limit neuroinflammation and whether this plays a role in helping ADHD is unknown. Several meta-analytic review studies have found that supplementing a child’s diet with EPA and DHA has a small to medium effect in improving clinical symptoms of ADHD. EPA may have greater clinical effect but it is likely that both EPA and DHA are important. When considering purchasing fish oil supplements it is important to read the label! Look for the milligram (mg) amount of Omega-3 in the capsule/softgel. Look at the serving size since the mg on the label may be listed for 2 softgels or more. A standard 1000 mg fish oil provides around 300 mg of omega-3s. Since EPA may have a greater clinical effect in ADHD it is important to obtain a higher ratio of EPA to DHA if possible. The label needs to specify amounts of EPA and DHA. For our Vegetarian/Vegan friends: A vegetarian source of Omega-3 is alpha-linolenic acid (ALA), which the body may convert to EPA and DHA. Dietary sources include walnuts and flax seed. Eating a diet high in omega-6 fats, those found in chips, fried foods, processed foods, and restaurant foods, may hinder this conversion. Common sources of plant oils containing the Omega-3 ALA fatty acid include walnuts, edible seeds, clary sage seed oil, algal oil, flaxseed oil, Sacha Inchi oil, Echium oil, and hemp oil. * Dietary Reference Intakes for Energy, Carbohydrate. Fiber, Fat, Fatty Acids, Cholesterol, Protein, and Amino Acids (2002/2005). Category: Uncategorized Tags: Is Fish Oil Helpful in Kids with ADHD? What Treatments Work for ADHD? Consider whether the treatments have good scientific research and evidence showing they are effective. Consider whether benefits of treatment outweigh the risks of that treatment, both short-term and long-term. Consider positive outcomes to mean significant improvements in the core symptoms of ADHD such as attention and/or impulsivity and/or hyperactivity.